KAMPALA — The Speaker of Parliament Rebecca Kadaga, has directed Members of Parliament (MPs) to avoid talk on the lifting of the age limit for presidential candidates. Kadaga said there is no constitutional amendment bill that seeks to lift the 75 years cap. To dwell on the matter, she said, would cause anxiety. “Honourable Members, I require that none of you go to discuss that amendment – because it is not there. 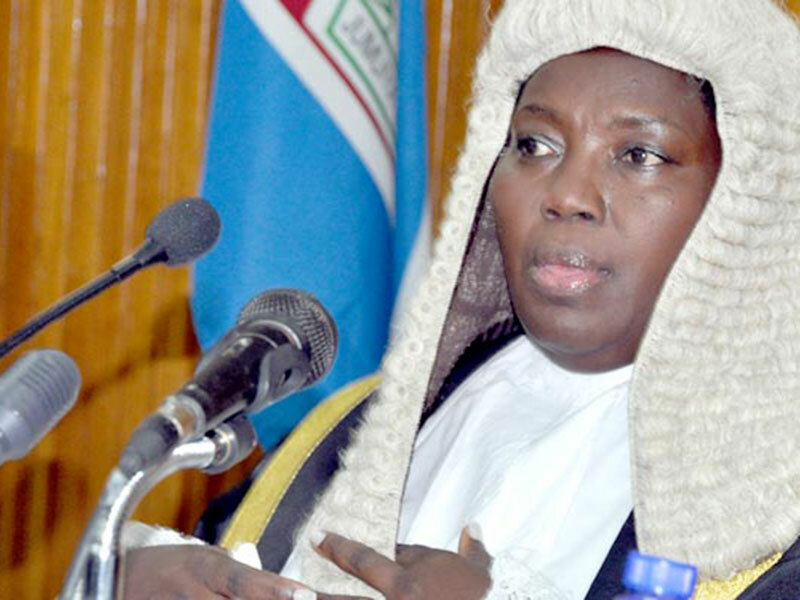 Stop inciting the public, stop worrying the public,” Kadaga said on Tuesday during plenary. Earlier, the Deputy Attorney-General, Mwesigwa Rukutana, had refuted claims that the Government wants to lift the 75 years age cap for presidential candidates. “I want to state and to be on record: There is no such constitutional amendment that has been sponsored either by a private member or any other person in that regard,” Rukutana said. Rukutana said the constitutional amendment he knows about, which went through Cabinet, is for a bill to amend Article 26 of the Constitution. The Article provides for the government’s acquisition of land for infrastructure development. That is the amendment that has been gazetted,” Rukutana. The deputy attorney-general was responding to Speaker Kadaga, who had said she has not seen such bill. Kadaga said she had been reading media reports about it and that the reports had caused excitement for and against the repealing of the cap. She said some MPs are targeted and that some had received threatening messages. It remains to be seen if the talk will just stop. If the 75 years age limit for presidential candidates is not lifted, President Museveni will be ineligible to contest for re-election in 2o21. Since he has not yet anointed anyone to succeed him, some people think he will be on the ballot papers in 2021 when his current five-year term expires. For him to be on the ballot paper in 2021, as a presidential candidate, the Constitution has to be amended. Whereas some MPs could push for it, as happened in 2005, hoping the President will later reward them with cabinet posts, others, out of principle, could oppose the lifting of the age limit. With Rukutana saying the age bill has not yet been handled yet, it is probable is matter has been turned to the sleep mode – for now.